At all other times, the object sits in complete darkness, enjoying after-hours security for museums, antique luxury retailers and private collectors. This allows fragile, light-sensitive collections to be exhibited without exceeding international light exposure limits. 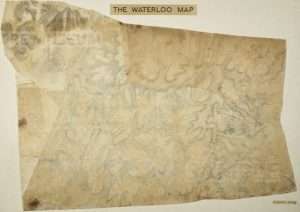 Read about how ArtRatio currently protects the original map of the 1815 Battle of Waterloo at the Royal Engineers Museum in the UK.